Delivering the fun to you since 2011! 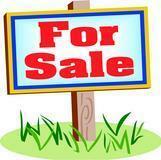 CHECK OUT OUR FACEBOOK PAGE FOR SPECIAL OFFERS!!! 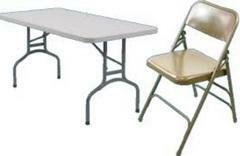 ALL EVENT RENTALS ARE PRICED FOR A 6-8 HOUR TIME SLOT. IF YOU WOULD LIKE TO KEEP THE INFLATABLE UNIT LONGER THAN THE 8 HOURS ALLOWED, ASK US ABOUT OUR ADDITIONAL RATES FOR AN EXTENDED TIME SLOT!! 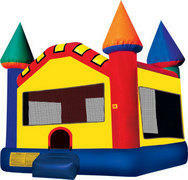 Our inflatables are very durable, kid safe and 100% cleaned and sanitized in-between every rental. All of our employees are either family members or longtime friends so you can feel safe when working with Leaping Lizards Entertainment. 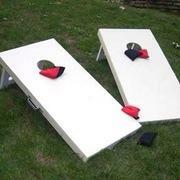 Our party rentals are perfect for any occasion. Whether you're celebrating a birthday party, holiday, family reunion or just want to do something special for the young one in your life, we are ready to make it happen. We also do corporate and business events as well. There is no job too big or too small. We provide excellent service because we value your business. 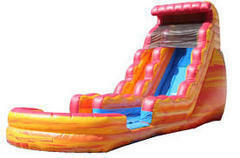 At Leaping Lizards Entertainment, we offer high quality inflatables at discount rental prices. With our large selection of bounce houses, water slides, combos, obstacle courses, yard games, tables, chairs, and even carnival concessions, we can provide all the necessary equipment needed for any birthday party or event. Please take a few minutes to see what kind of products we offer and click on the online reservation button to setup an appointment today. Free delivery and pick-up for Bossier City, Haughton, Benton, Elm Grove, Doyline and MOST of the Shreveport area. We also service many other surrounding areas! (Travel Fee may apply for some areas.) As always, we deliver, set-up and you have all the FUN! John Scurlock designed the first inflatable bouncer structure in 1959 by accident in our very own Shreveport, LA!!! He was watching his employees jump on some inflatable covers for tennis courts he was experimenting with and the idea slowly gained momentum. He originally called the inflatable structures “Spacewalks” and started a company of the same name. He marketed the inflatable for kids and started out with a large air mattress which he then modified with walls some years later. The windows were composed of clear, solid plastic and were enclosed like a bubble with one fan inflating the bubble and circulating air and the other inflating the base. How awesome is it that the place where the very idea of these fun and entertaining strutures started is right here in our own backyard?!?! Thank you for visiting our website and for your business! 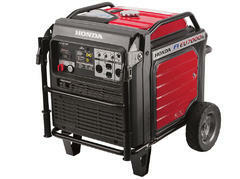 We have been servicing the Shreveport/Bossier and surrounding areas since 2011. At Leaping Lizards Entertainment, we pride ourselves in our ability to provide affordable events for almost any budget. 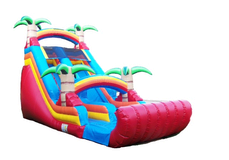 Leaping Lizards Entertainment has the largest and cleanest selection of inflatables bounce houses, water slides, combos, obstacle courses and other party rentals for all ages in Northwest LA and East TX. Call us today! We're happy to answer any questions you may have. Our team is standing by waiting to help YOU plan the party of the YEAR!